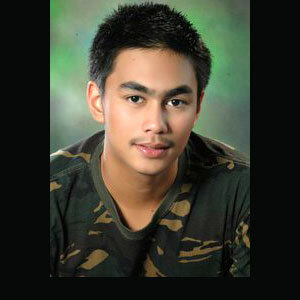 The Diplomatic Son of Albay, Jovic Susim (in photo), replaced Eslove Briones in Pinoy Big Brother Teen Clash of 2010. Big Brother’s back-to-back revelations shocked viewers and housemates the last Thursday (April 29). No one anticipated the exit of Eslove Briones and the entry of Jovic Susim in Pinoy Big Brother Teen Clash of 2010. Jovic, the Diplomatic Son of Albay, comes from a political family. He enjoys engaging into sports such as basketball and golf. With the goal of following the footsteps of his father, this basketball varsity player decided to take up Consular and Diplomatic affairs. Meanwhile, Eslove was booted via a forced eviction just a few hours after his birthday celebration on Wednesday (April 28) inside the PBB House. The housemates were all in tears when Eslove left. Tricia Santos, for her part, begged everyone’s forgiveness while saying she did not ask for what happened. Eslove, who was dubbed "Sigang Istokwa ng tawi-Tawi," broke one of Kuya’s house rules when he pointed a knife at Tricia during one of their banters. Even though he raised the knife as a joke, Kuya insisted that this act was a violation. Find out how Jovic’s entry will affect the next nomination. However, voting for the 2nd Eviction night is still on. Who among Tricia, Becca Chiongbian and Yen Santos will come out of the PBB House on Saturday (May 1)? New bedspacers in the apartment will finally be revealed. Find out who these people are and what they will be there for in Pinoy Big Brother Teen Clash of 2010 after Maalaala Mo Kaya with hosts Toni Gonzaga, Mariel Rodriguez, and Bianca Gonzales on ABS-CBN.